Update: (Spoiler warning for Quantum Break) The plot thickens! 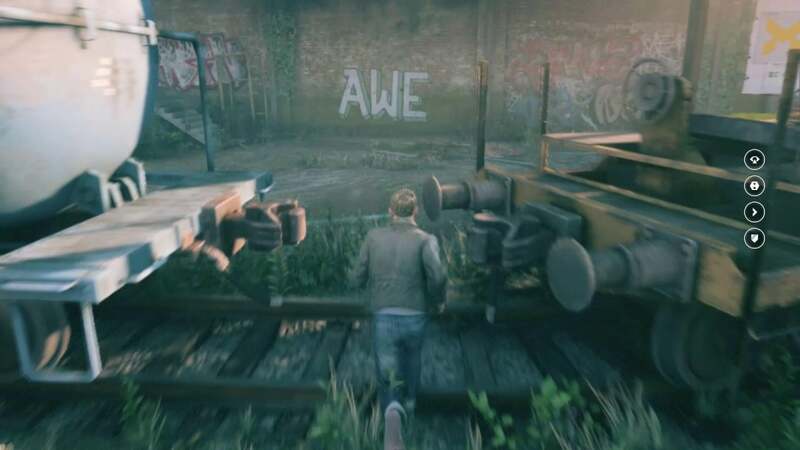 After this story was shared to Twitter, a reader pointed out that Quantum Break features recurring graffiti art displaying "AWE" throughout much of the game. Funny enough, I remember wondering what that was all about both times I played Quantum Break but I had forgotten about it all when I wrote this. With this in mind, it appears the time machine and/or the Chronon Field Regulator (CFR) — okay now I really sound like I've lost it — may be more examples of Objects of Power and the time fracture was thus an Altered World Event! I still wonder what the fate of those story elements may be when Remedy can't really work with the Microsoft-owned IP, but I now believe those Alan Wake references we saw in Quantum Break were more than playful easter eggs. Original Story: I lament the rise of conspiracy thinking. I think the way YouTube algorithms seem to only ever be a video or two away from introducing impressionable minds to the next flat earth crackpot is a clear and present danger to how our society will progress further into the curation-by-robots era. With a six-year-old at home and another child on the way, internet literacy is a major point of focus for our family, so believe me, I don't say this lightly: I want to share my conspiracy theory with you. It involves Remedy Entertainment, the beloved Finnish games house behind titles such as Max Payne, Alan Wake, and Quantum Break. Their next game, Control, will be out on August 27th and I'm as excited as always to dive deep into their next unique tale, which looks to be the studio's most ambitious game yet. But I'm not here to talk about its Metroidvania design or its novel approach to gunplay, where the singular "Service Weapon" exists as the transforming tool to fit all tasks for the game's protagonist Jesse Faden. What I want to talk about instead is a sort of hunch I can't help but feel, backed by some evidence — and sure, some definite wishcasting too. 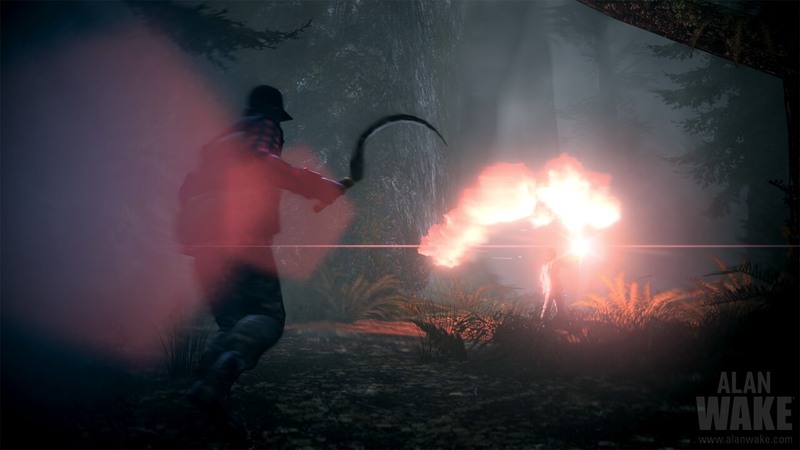 I think the Control universe and the Alan Wake universe are one and the same, and we may be getting more than Remedy is letting on with Control. In 2012, a blog titled This House of Dreams cropped up on Blogspot. The blogger, Samantha, chronicled her life moving into her new home, a real fixer-upper, in a town called Ordinary. Early posts about renovations and the strain of the work soon gave way to much creepier anecdotes about unnerving dreams and strange discoveries like abandoned poetry in shoeboxes. What does any of this have to do with anything? I hear you asking. Well, this blog was eventually discovered to be part of an alternate reality game (ARG) from Remedy themselves. If you follow the blog in chronological order from February 2012 when it began up until July 29th of the same year and the last day a blog entry was made, the allusions become clearer and clearer. Samantha writes of a Dark Presence and a diver in a "strange, heavy diving suit, almost like a spacesuit" who speaks to her in her dreams and tells of his lover whom he lost to this darkness. For fans, the references are undeniable but if you still have any doubts, know that Remedy employees in disguise were among those who initially shared the links on the official Alan Wake forums back in 2012. The last entry ends on a bittersweet note. Leaving much of the mystery still enshrouded, Samantha does write more optimistically about her future prospects after another visit from the diver, and the words seem to double as a message to Alan Wake fans directly from the studio. [...]When I woke up I felt overwhelmingly happy and privileged of having been shown this. I’ve never been so moved by a dream and didn’t think it could even be possible. Even now, even though I’ve forgotten many details, the feeling remains: a feeling of hope. I know that something amazing is coming, that something wonderful is going to happen, and at the same time I know that when it does, it will be something totally different from what I’m expecting, something I could never have imagined. And I know it might take a long time before it does happen, but no matter how long it takes, I’ll be here, waiting. "Something amazing is coming... no matter how long it takes, I'll be here, waiting." It couldn't be much more obvious that Remedy wanted to assure fans, as they've done several times since, to tell us though Alan Wake 2 isn't coming anytime soon, that holding our collective breath could one day be rewarded. A few years ago, I wrote about how I had come to terms with the more likely reality that we'll never get an Alan Wake 2. Reports since then from Polygon in 2015 and just this week from VG24/7 remind us that though we've been close, we're actually now farther than ever from seeing the game come to fruition. The head of PR at Remedy, Thomas Puha, told VG/247 their work on Alan Wake 2 "just didn’t pan out" and that they're "booked solid for the next couple of years, really.” It's obvious the Alan Wake universe will be dormant for quite some time — or maybe not. If you're not familiar with the lore behind Control, strap in for a whole bunch of weird worldbuilding. The game's title comes from the fictional Federal Bureau of Control, a secretive government body meant to deal with our world's supernatural elements, keeping them under wraps and, yes, under control, so they don't affect the unwitting billions around the globe. 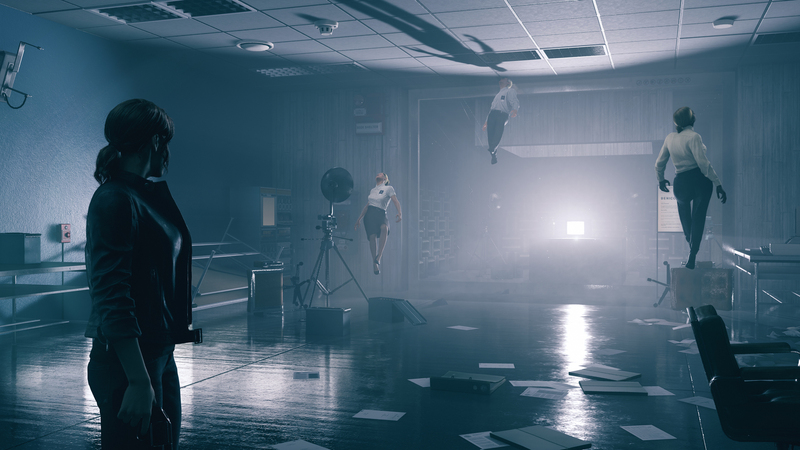 In my chat with Remedy at E3, I likened the bureau to if Fox Mulder wasn't a tinfoil hat-wearing outcast abandoned in a dingy basement, but was rather the official policymaker of federal investigators. They thought that was a fair comparison. The bureau knows weird stuff exists and is paid to keep them contained. In Control, Jesse Faden, a bureau agent, returns to The Oldest House, the FBC headquarters which houses Objects of Power, physical objects which have the ability to alter our world as we know it. It's reminiscent of the Warren's Occult Museum, except in Control, these objects are much more than a phony ploy for tourism dollars. Historically, when these Objects of Power are unleashed in their various ways, they result in Altered World Events or AWEs. They disrupt normalcy, screw with our natural laws, and it's the Control agents who must undo the harm they cause or, ideally, prevent them from ever getting to. *exhales* Still following me? Good. Earlier versions of the FBC were referred to as the Bureau of Altered World Events. What does it mean that this Alan Wake ARG includes references to Altered World Events, a central plot point for Control? One of two things I think. Sometimes creative ideas can carry over from one project to another, especially when the former is eventually abandoned in favor of the latter. Creative people in all fields talk about this. A cool idea in a game that doesn't pan out may live on in a later game that does, so maybe it's the case that Alan Wake 2 was going to involve the Bureau of AWE. It wouldn't seem to quite fit with what we know of Alan Wake lore currently, but it's certainly possible that a sequel would've caught us up and made it fit. Alan Wake is a weird game and it often feels like anything is possible. But what if that's not the case? That leaves just one conclusion, I think. Alan Wake and Control exist in the same universe. Some say Quantum Break and Alan Wake already exist in the same universe given the several Wake easter eggs in Remedy's 2013 spacetime-distorting shooter. I disagree with those who say that, however, and I think those were simply fun easter eggs not meant to be taken so literally. (editor's note: see update at the top of this story for a change of heart.) But this AWE connection feels like more to me. It helps that Remedy owns the Alan Wake IP too, while they don't own the Max Payne or Quantum Break IP, so this means my grander conspiracy theory (pictured below) of The Oldest House hosting all Remedy properties each in their own shifting corridors is probably too grand. But just Alan Wake? Especially Alan Wake? The one game no one ever stops asking them about no matter what they're sharing or working on. The one game whose development they've started and stopped more than once. The one game whose ARG seems to reference the central-to-the-plot Altered World Events from their newest, boldest IP. What are the chances a corridor of The Oldest House opens up to Bird Leg Cabin or the Oh Deer Diner or Cauldron Lake? It's speculation for now, with a little bit of evidence and a whole lot of wishcasting, but if anybody is going to get this weird, it's Remedy. And oh by the way, Control's season pass includes two post-launch content packs and we already know their names. First comes "The Foundation" followed by the game's final piece of story content, "AWE." This is gonna be weirder than usual. Thanks to Rachel from Remedy fansite The Sudden Stop for assisting with some of the details in my crackpot theory. If you like digging for ARGs in your games, consider joining me and many more game sleuths at the LudoCrypto community.